Chatroulette Italia is one of the best sites where you can meet with Italian people. If you would like to chat with foreigners, beautiful Italian girls and handsome Italian men are the best opportunity for you. If you would like to meet one of these people, this site will provide you good service. You can also specify countries on the site. All features are free and you won’t need to register to site. Italian guys one of the most handsome guys on the world and they are quite popular whole in the world. You will able to meet with them on this site. The site language is in Italian. If you don’t even know Italian Language, you can use this site if you ever used sites like Omegle and Chatroulette. It’s quite easy. Italy is one of the most popular countries of the world. They have handsome boys and beautiful girls. If you would like to meet with them Chatroulette.it will be a good choice of you. There are many online Italian strangers on the site. 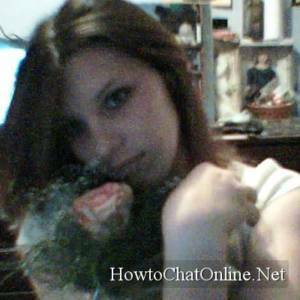 If you don’t know how to chat on Chatroulette.it, you will get a good information here how to use the site. It’s quite easy to use, you don’t need to pay and no registration required to site. Chatroulette Italia will provide you many people from Italy. If you would like to site you should go to main page of the Chatroulette.it and you should specify the country as Italy. Click on tutti button which is standing right side of the site and select “Italia” to chat with Italian strangers. If you want your partner to have camera, you can require it via marking on the box which is standing left side of camera image. There’s a text as “Solo con una webcam” there. For begin to talk with strangers on the site, you should click on Inizia button. That’s all. Now you are ready to talk with your potential partners. ← Chatroulette is not Loading – How to Fix?